We partner with the best brands in the industry, from mainstream favorites to niche up-and-comers, and use a proprietary algorithm to send the right products to the right people, based on their profiles and preferences. Check out the latest sampler kits from Birchbox! And get a free gift with our coupon! This month, Haley tries products from thisworks, [comfort zone], and so much more. Check out our full review of the March 2019 Birchbox Sample Choice Box to learn more! At $10-$15/month, Birchbox is still a great deal because you can discover new favorite brands while doing less work and spending less money overall. Birchbox announced Tuesday that it will raise its prices and introduce a new tiered pricing structure, promising to reward paying customers with increased personalization and a wider selection of top quality products. Birchbox will also offer more choices and customization for its boxes. Rather than browse, , 73 percent of men and 69 percent of women only head to an actual store when they need particular items, survey says. Why Nudge.ai? Reach out to the decision makers at Birchbox with a personalized email - let them know that you found their recent news mention interesting. Nudge.ai’s relationship intelligence platform can help you find the right executive to reach out to at Birchbox, such as Deena Bahri, Chief Marketing Officer, or Katia Beauchamp, Co-Founder. Then get in touch and start a conversation. Executives can be difficult to reach, but every company has connectors who bring together people and ideas. At Birchbox, people like Rachel Silver, and Katia Beauchamp are likely connectors. When Birchbox is mentioned in the news, Nudge.ai often sees topics like Marketing, and Books. If your conversation focuses on these topics, you’ll probably get Birchbox’s attention. When Birchbox is mentioned in the news, companies such as Sephora, Kroger Co., and Spotify are often also mentioned. These companies can serve as customer examples. Employees who are often in the news are usually open to starting conversations or exploring ideas. Nudge.ai's sales AI saw Rachel Silver, Katia Beauchamp, and Amanda Tolleson from Birchbox recently mentioned in the news. 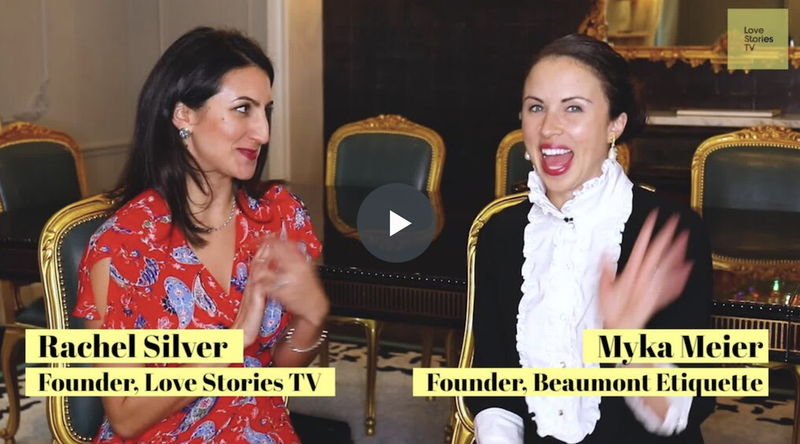 In this episode Rachel sits down with Beaumont Etiquette founder Myka Meier to discuss Harry and Meghan's royal wedding and how to behave if you are invited. Subscription boxes are delivering on just the attributes traditional retail finds so elusive. Brands building influencer marketing in-house is a rising trend, but is it a smart move? Check our pros and cons to determine what's best for your brand. Who in your network can introduce you to Birchbox? Nudge.ai finds the best pathway to reach contacts at this company.